OK Dave, this is my old Windows Vista box. It has one Pata interface and two Sata interfaces, it also is running 4GB of ram. It does have a CF drive and two front usb ports and two rear usb ports. 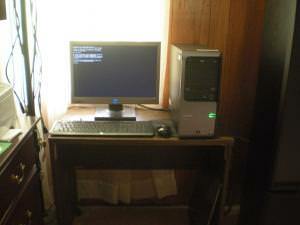 I believe it is running a Athlon 64 dual core processor with onboard Nvidia graphics. This my available hardware. 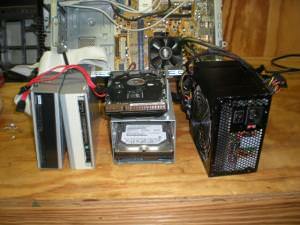 I have one Pata CD drive and one Pata HD and my 650W power supply. I also have two 1TB drives for data storage. The plan is to install Fedora 23 server and then install Amahi. The only hardware going back in the case will be the power supply. Case and hardware will be mounted on one piece of plywood. Side of case will be open. 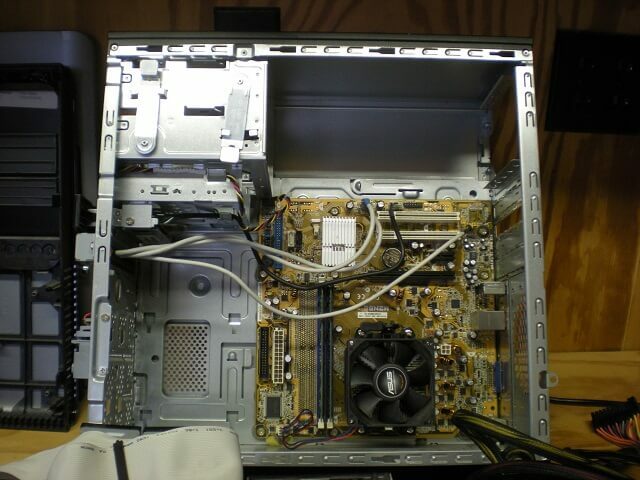 This is not a fancy project, just trying to build a functional home server, but if you, or anyone else, think it will work then feel free to comment. After trying several different server options, I finally got one called openmediavault up and going. This installs with the Debian server and uses apt-get for updating Debian. Have not made a final decision on whether to use this or another home network I am working on. It has been a challenge since this was my first sever to configure, and it is all configured on a CLI desktop. If you think you know Linux then give it a try. Did you add a GUI? I tried to install the KDE desktop but could never get it to work. Any suggestions? Gnome should be a bit easier. I will try this. What exactly will a GUI do for a server? As you can see everything is in the case. The two Sata storage drives are in the bottom cage, the boot drive is in a cage below the DVD drives. Openmediavault with the Debian server has been installed, just need to find time and see if I can bring this thing online. I do thank Dave for his input on this project. I have files on my server, even have one W10 backed up to the server. This has been a learning experience!!!! Job finished!!!! File Server is up and running and doing quite well. It may not be the fastest or the most fancy but it is doing well for my file server. I have used Acronis to back up three PC's plus I did a manual backup of all my files. 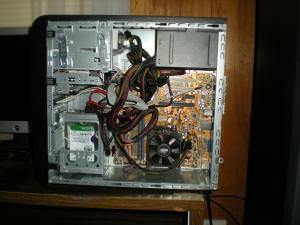 This was a great way to reuse an old PC.